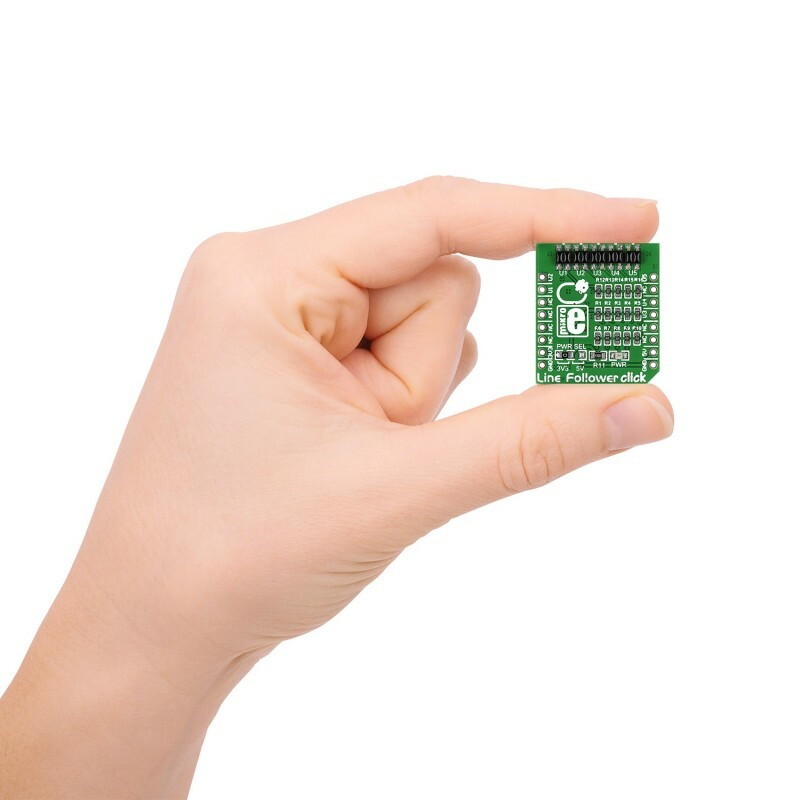 Line Follower Click carries an array of five QRE1113 miniature reflective object sensors. 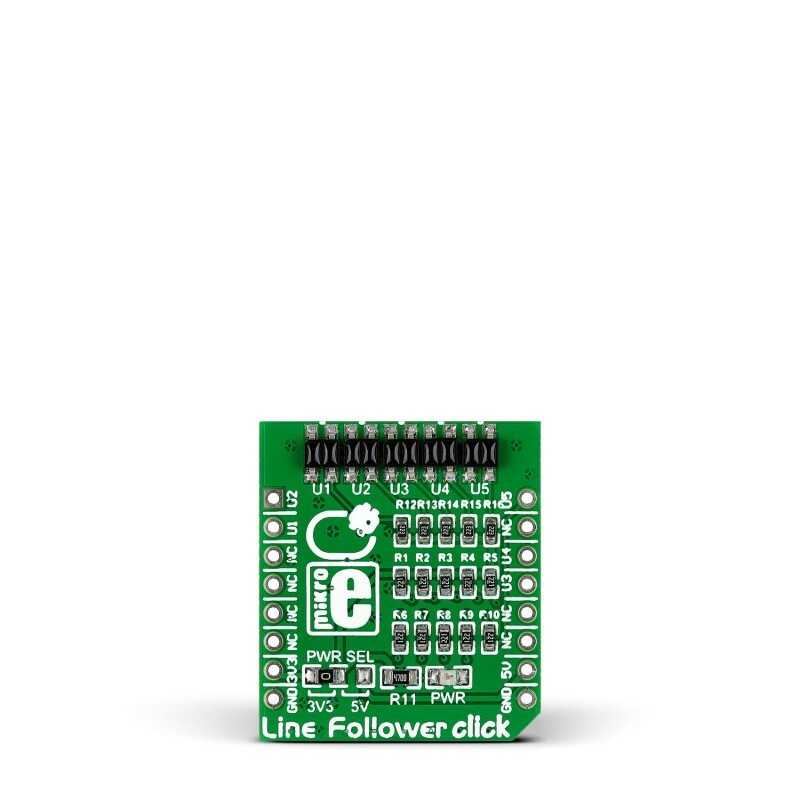 As the name implies, Line Follower click is best used for line following robots and cars. Line Follower Click carries an array of five QRE1113 miniature reflective object sensors. 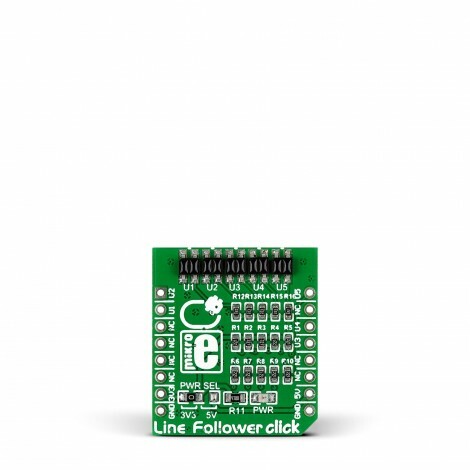 As the name implies, Line Follower click is best used for line following robots and cars. Each one of the QRE1113 sensors consist of an infrared transmitter and infrared receiver. 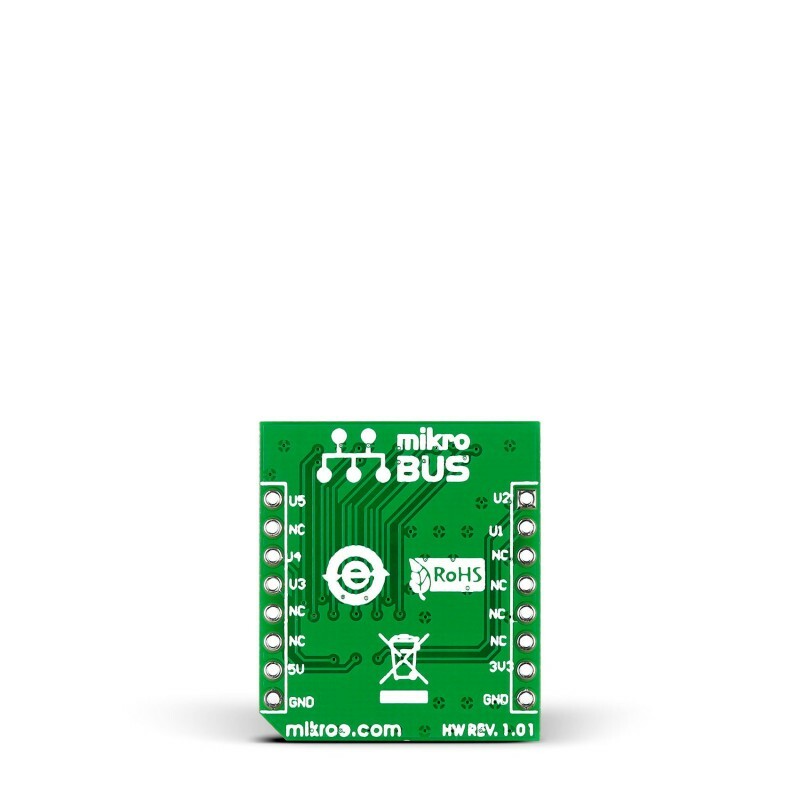 For communicating with the target MCU, the individual sensors have their own separate digital outputs, each one routed through a single mikroBUS™ pin: OUT1, OUT2, OUT3, OUT4 and OUT5 (in place of default mikroBUS pins RST, AN, PWM, TX and RX, respectively). 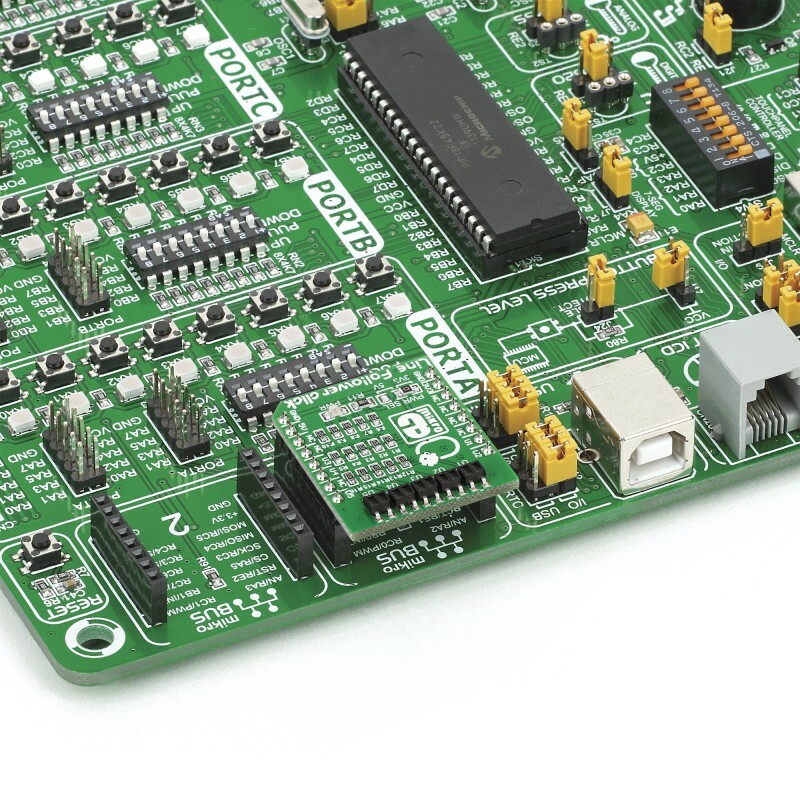 Line Follower click is designed to use either a 3.3V or a 5V power supply.